Despite laws focused on keeping people safe and an individual’s own safe driving practices,automobile accidents are everyday realities on Oregon roads. Whether driving on the streets ofdowntown Portland, the busy freeways at rush hour or back country roads in outlying counties, the chance of being involved in a motor vehicle accident is ever-present. While many accidents can be referred to as fender-benders, too many others result in personal injuries or even death for those involved. How many accidents really happen in Portland? A quick look at the statistics shows the reality of car collisions in the metro area. Of the 49,053 reported crashes statewide in 2011, virtually half of them occurred in the tri-county locale. Specific details show that, in Multnomah County, almost 9,400 injuries were reported from 13,244 accidents. In Clackamas County, nearly 3,300 injuries resulted from 4,434 wrecks. In Washington County, close to 5,000 injuries were caused by 6,659 crashes. Accident fatalities in the Portland metro area accounted for one-fourth of all vehicular deaths in the state with 83 people losing their lives. This information highlights the fact that injuries happen in the majority of accidents, leaving victims in need of proper compensation. Obtain the full name and all contact information for the other party or parties, including cell phone number, email address, physical address, land-line phone number and work phone number. Write down the license plate numbers and year, make and model of vehicles involved. Get the policy and phone numbers for other drivers’ insurance companies. Always visit your primary care physician and follow his or her instructions, even if you do not immediately appear injured. Of equal importance is the need to contact an attorney to help you work with your own or other drivers’ insurance companies. What should you NOT do after an accident? At the end of the day, settlements to accident victims with legal representation are generally higher than to those without such help. This is achieved in many ways. When you have the right guidance, you will not be as tempted to do some of the things that can actually work against you getting the compensation you deserve. Never give a recorded statement to an insurer. Never accept an insurance company’s first offer. Never sign an insurer’s release form. Never accept a check from an insurance company. Never forget that your own insurance company is legally obligated to provide compensation for you. Many people believe that their own insurers are always looking out for their best interests and any settlement offer from them must be good. That is not necessarily the case. 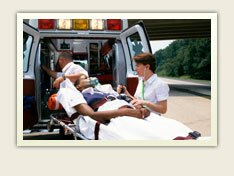 Whether you have been involved in a car-only, large truck, pedestrian, bicycle or motorcycle accident, you deserve help. Taking the time to make that one phone call to the right person can get you what you need in a time of need. No matter how severe an accident is, it can be an upsetting experience. Take advantage of legal help to get the guidance—and the compensation—that you deserve.